After consulting on dozens of tourism development projects, Baraka encountered many local communities desperately wanting to engage in the tourism sector, but are not succeeding, even with support from training programs and micro investments by development agencies. They are struggling to create products that tourists want and unable to reach the tourism markets alone. So we set up Baraka Destinations, a social venture that develops clusters of community owned tourism businesses, incubates them with the local owners until the business is profitable, skills are transferred and capacities are at the standard to enable tourism entrepreneurs to build their own villages into vibrant tourism destinations. All of the experiences offered by Baraka Destinations were created in partnership with the local community to highlight their local culture and collective narrative. Hiking: Baraka Destinations offers nine hiking routes, some of which are unguided, in the Um Qais and Pella areas. Each trail highlights a different view of the stunning scenery and vary in difficulty so as to cater to families and guest fitness levels. Guides share stories about local culture, the relationship between the villagers and the environment, and the story behind the cultural shift from an agrarian community to government jobs. Cycling: Baraka Destinations offers guests the opportunity to embark on one of six guided bike trails of the region. 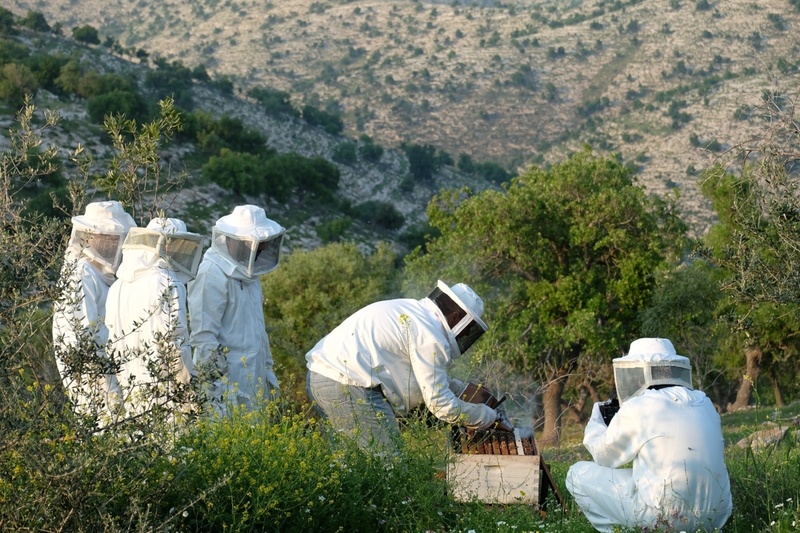 Beekeeping: Experienced local beekeepers provide a unique experience in Um Qais to uncover the fascinating behavior of honeybees. Discover how a bee colony functions and participate in honey harvest. Cooking Classes: Guests can visit the home of a local chef and discover the recipes of some of the region’s most known dishes. An authentic experience in the heart of the village. Pairs nicely with foraging experience where guests go into the mountains to collect the wild ingredients for some of the most popular traditional dishes. Home Cooked Meal: A home cooked meal all ingredients are sourced from local farmers and represent a menu that is unique to this part of Jordan. Meals are served at the chef’s house giving guests the opportunity to get to know the people of the village better. Basket Weaving: Guests have the opportunity to learn the century old tradition of basket weaving with a local artist. Acquire the skills necessary to create your very own basket or coaster. Products: Baraka sells a number of local products, such as honey, baskets, pickled goods, jams, and more, which are sourced from the local community. Activities are family friendly and appropriate for all ages. Whether you’re looking for history, fun and adventure, a religious destination, or a great family getaway, almost every location has something for everyone! Customize your own trip to Jordan. Baraka Destinations has invested and incubated local entrepreneurs to set up micro tourism ventures and provided members of the local community with alternative sources of income. A build-operate- transfer model, Baraka works in secondary tourism destinations to create a cluster of experiences and services for tourists that take them deep into local life. Baraka worked closely with the community to design experiences that reflect their local culture. Our partners have undergone over 2,000 hours of training in hospitality, business, English, food hygiene and safety, and more to ensure the quality of the experiences they developed. 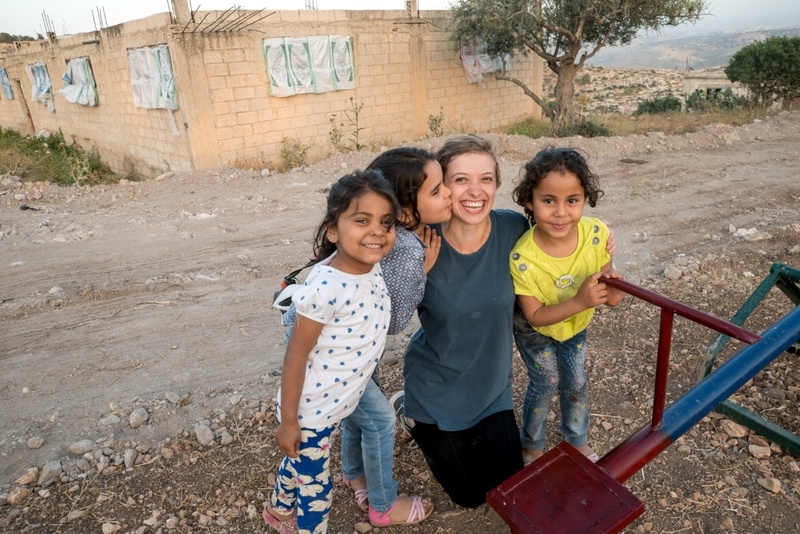 Baraka has been operating for three years in Um Qais developing tourism experiences with the locals. Baraka Destinations, a subsidiary connecting tourists to CBT experiences, was launched in the spring of 2017. Since, we have collectively succeeded in putting this forgotten village on the map, in international news, guidebooks and tour operator itineraries. Rania is famous for her home made manaeesh; she carries the pastry last to the breakfast table at Beit al Baraka with a proud smile on her face as though carrying the crowning jewel of the farm to table village breakfast. Last year, Rania’s reality was a difficult one. She has 7 children, a husband working at the village chicken slaughterhouse, and several loans they were drowning in. She had to pull her daughter Lara out of college; there was no way the family could afford it. Local shopkeepers stopped giving them credit lines and they were finding it very difficult to put food on the table every day. Rania joined the Baraka team in October 2016 as a housekeeper. She attended several training programs and was diligent with her English classes, spelling out words phonetically, and often welcoming guests to the breakfast table with a cheat sheet in her hand. She has hosted over five hundred very happy guests and made enough of an income to pull her family out of debt, get her daughter back in college, and get to know the diverse people of the world with every guest she meets.  Discover more about the toots of your faith in Jordan by clicking on the holy sites along our Bible Trail interactive map.